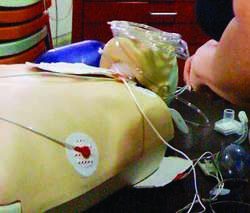 abbreviation for basic cardiac life support. Adding to his responsibilities as Manager of BCLS, he accepted an invitation to become a member of Sarawak's Council Negri (Legislative Council). The nucleus of pre-occupation Sarawak Administrative Service officers returning to Sarawak with the BMA, together with those being released from internment and from overseas, coupled with reinstitution of the civil administration of the pre-occupation Council Negri and Supreme Council, provided a continuity in governance familiar to returning BCLS senior staff and personnel. 1) By then BCLS had offices in Kuching, Sibu, Sarikei, Binatang, Miri, Kuala Belait, and Brunei, as well as its forestry operations in the Rejang (BCL Sarawak Branch--Annual Report for year ended 31 March 1941). 3) BCLS personnel included indigenes, mainly Iban, employed in their Rejang Timber Concession. Martine suggests that availability of this fertiliser led to BCLS applying for the Poak Concession, a long rectangular strip of land covering some 8,100 hectares southeast of Bau. BCLS exported its produce under its own name and the planting and fertilizing methods and procedures developed at the Poak Concession by BCLS were "largely responsible for giving Sarawak White Pepper . The Rajah granted BCLS the sole right to all gutta rian trees, both wild and planted, to the company in the vicinity of Poak on 8 July 1901. On 8 July 1901 BCLS was granted the sole right to all "India Rubber trees" both wild and cultivated, "in the vicinity of Poak" and by 1904 had planted 284 hectares, increasing to 607 hectares by the end of 1907 (Martine 1946:40). 69) BCLS held the rights to develop the oil deposits at Miri under the existing mineral lease on which an annual royalty payment of 1,000 [pounds sterling] would apply. Around 1914 BCLS carried out some excavation work at Subur Buan near Bau, but there are no records of any mineral recovery, the only evidence being "now merely a pond" (Martine 1946:16).